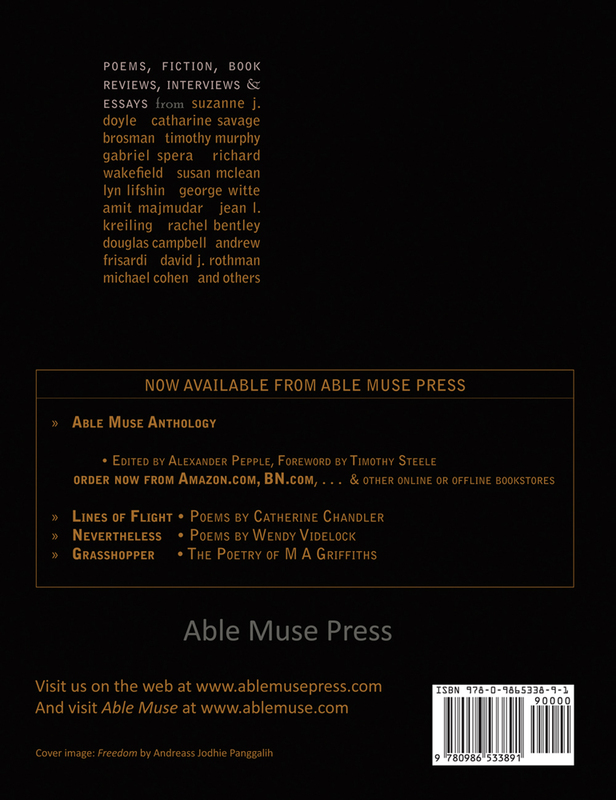 This is the seminannual Able Muse Review (Print Edition) - Winter, 2011 issue. This issue continues the tradition of masterfully crafted poetry, fiction, essays, art & photography, and book reviews that have become synonymous with the Able Muse— online and in print. 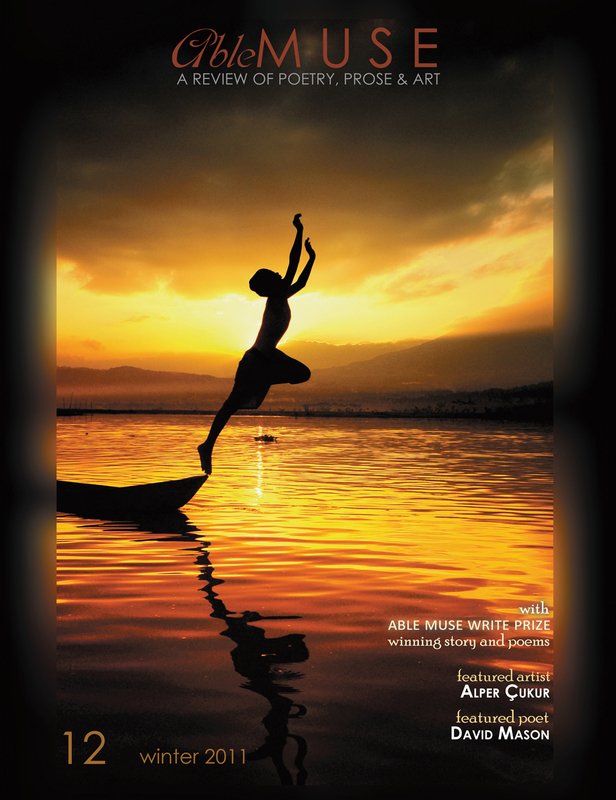 After more than a decade of online publishing excellence, Able Muse the third issue of the print edition is here, highlighting works of the same superlative standard as presented all these years in the online edition, and, the recently released Able Muse Anthology (Able Muse Press, 2010). (Interviewed by David J. Rothman). FICTION — Gilbert Allen, Rachel Bentley, Bruce Bromley, Keith J. Powell, Mary Widdifield, Douglas Campbell. ESSAYS — Michael Cohen, Seree Cohen Zohar, André Naffis-Sahely, Frank Osen, Andrew Frisardi. POETRY — Suzanne J. Doyle, Midge Goldberg, Catharine Savage Brosman, Amit Majmudar, Richard Wakefield, Philip Morre, Paul Bone, Maryann Corbett, Timothy Murphy, Alyce Miller, Kathryn Locey, Susan McLean, Rebecca Foust, Lyn Lifshin, Stephen Collington, George Witte, William Conelly, Lew Watts, Jean L. Kreiling, Susan McLean, John Beaton, Joshua Lavender, Catherine Chandler, Gabriel Spera, T.S. Kerrigan.